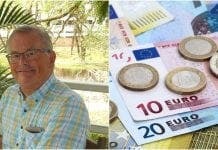 A RECENT article on the Costa del Sol’s property market, on Mark Stücklin’s Spanish Property Insight website, caught my attention because it stated that the current cost of front-line properties in Marbella and Estepona is 6,000-8,000€ per square metre (m2). At first glance, those numbers looked a little optimistic (read stratospheric) to me, as they are higher than the average price/m2 in Madrid’s Barrio de Salamanca (5.597€/m2, according to idealista.com) and Barcelona’s Sarrià-Sant Gervasi area (5,534€/m2, idem), the most expensive areas in their respective cities. That prices remain strong in Marbella came as no surprise. It has always been the Costa del Sol’s champion, standing head and shoulders above challengers when it comes to attracting a better, or at least a wealthier, class of people to see-and-be-seen spots like Puerto Banús that are (in)famous for glitz and glamour. On the other hand, Estepona has traditionally been a low-key, middleweight sort of town, more popular with sangria-sipping Spanish families who have been coming back on holiday for generations, than with the type of exotic foreigner who ships in champagne by the boatload to sup on the back of his (it’s always his…) yacht. I should know, as we’ve been living here for over a decade and that was very much the place we moved to. 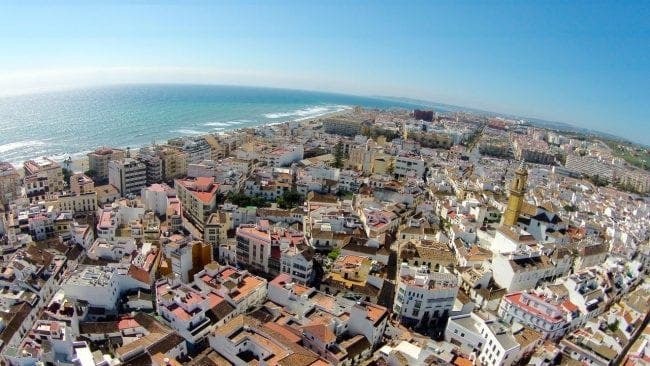 But, since 2000, the headcount of residents in Estepona has been expanding fast, by 59% according to Kyero.com, while Marbella has grown by 32% in the same period. While Marbella continues to appeal to the jet-setting crowd and gets most of the international press, Estepona, particularly in the last five years, has become far more cosmopolitan and now offers overseas visitors much more than a choice of fried fish. As a result, house prices in Estepona are now rising as rapidly as new buildings are going up. Just last week, we listed a development of luxury apartments on the beachfront, where a 200 m2 penthouse (with 39m2 of terrace) is going for €1.3 million. 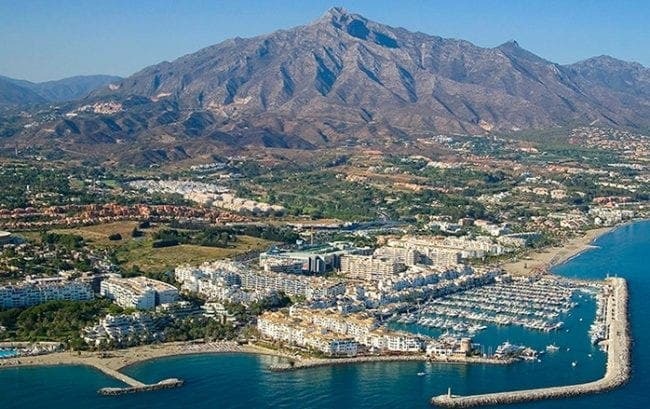 To save you doing the sums, that works out to well over 6,000€/m2, so Estepona does already appear to be punching well above its weight, muscling up to its neighbour, and could even beat it at its own game. In the right corner, Marbella. Population, 140,000. Municipal area, 117 square kilometres. Coastline, 27.9 km. Beaches, 24. Golf courses, 15. Average year-round temperature, 18.5ºC. Days of sunshine every year, 320. Average property price per m2, 2,919€. Its hook: Five-Star Destination. In the left corner, Estepona. Population, 70,000. Area, 137 sq. km. Coastline, 21.9 km. Beaches, 15. Golf courses, 8. Average temperature, 18.7ºC. Days of sunshine, 330 (take that, Marbella!) Average price/m2, 2,287€. AKA: Garden of the Costa del Sol. Clearly, the mean price/m2 for a home in each town is still a long way off the asking prices for the best properties on the market. 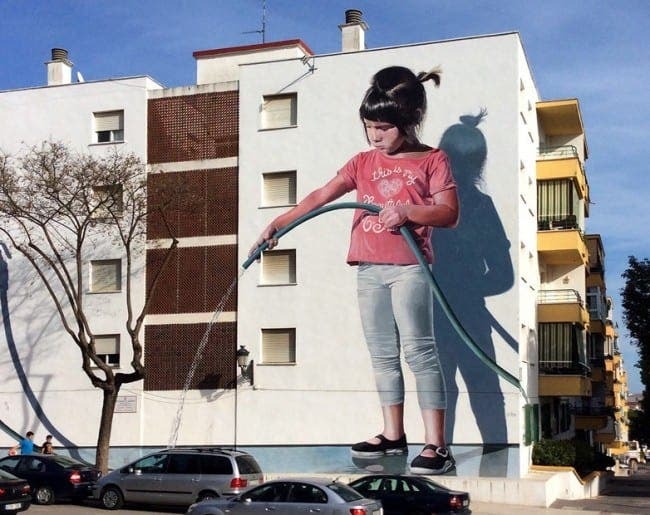 Remember, however, we’re not talking about average price/m2 for the municipality, but rather the cost of relatively scarce, and comparatively more expensive, front-line property, which is in just as short supply in Estepona as in Marbella. Or maybe even shorter, considering the length of their respective coastlines.